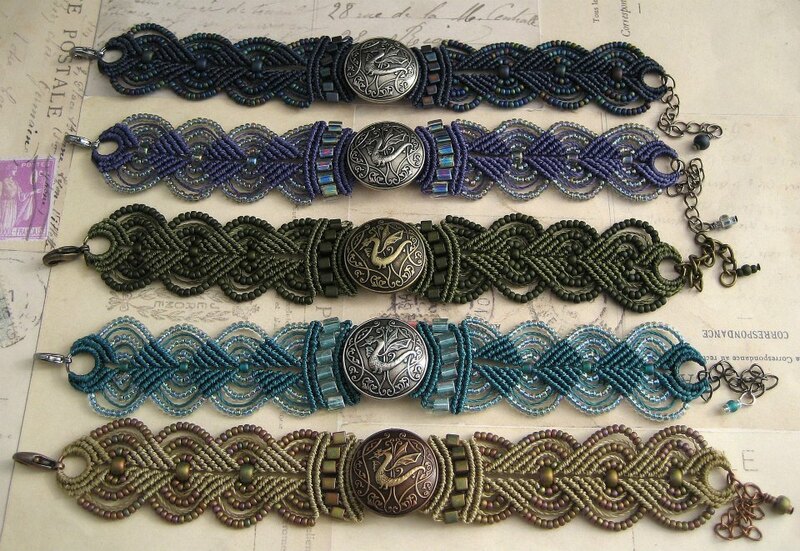 After making a bajillion micro macrame bracelets in the original khaki/copper combination, I decided to branch out a bit recently and the result was this batch (flock? litter?) of colorful dragons. 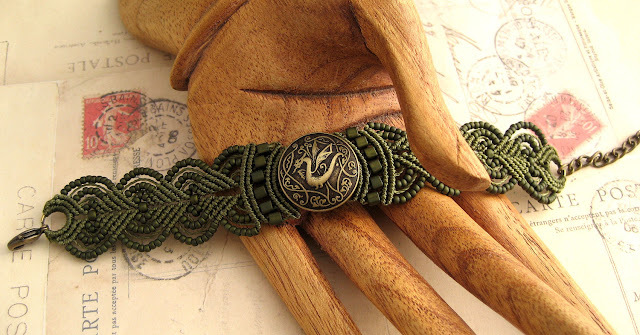 And, what's not to love about a dragon you could wear with camo? 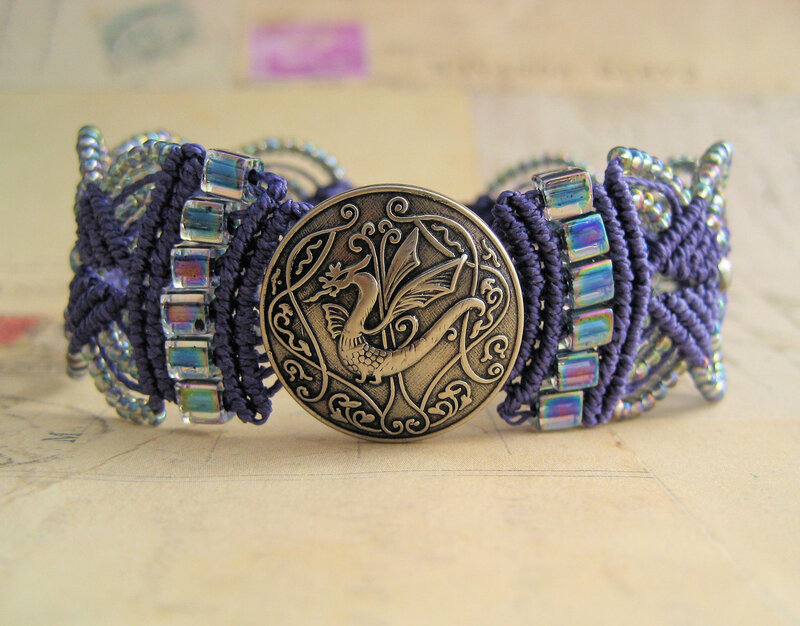 And I've been working on a little number in purple with NO dragon! I'll keep you posted. As you were. There probably isn't a proper term for "multiple" dragons. It seems illustrators mostly depict them alone, with the exception of the late Anne McCaffrey's book series. Perhaps they are solitary beasts or cannot get along together LOL. Yours seem to be good friends, Sherri! As always I am amazed by your intricate and beautiful weaving! Sherri, I would love to learn this macrame style. Is there a tutorial for your bracelet type? 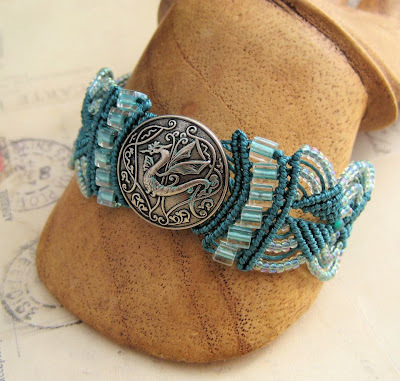 I don't have any tutorials, but Knot Gypsy Designs sells some patterns/tutorials for micro macrame as well as some kits and Joan Babcock recently started offering some online classes that look interesting. I am with you. I just love the teal dragon.